Specialty services: Residential, first time home buyers, veterans, investment properties, new construction, luxury properties. 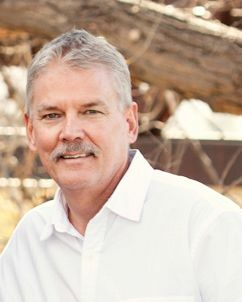 Since moving to Colorado in 1984 and marrying my life long companion Melinda in 1986, I’ve established my roots in the fields of real estate sales, real estate appraisal, home building, and subdivision development. My strengths include the desire to serve my clients needs, the ability to communicate and negotiate in an effective and positive manner, and the ability to see a task to completion. I am the proud father of two beautiful young ladies, Nicole and Taylor, and grandfather to Nicholas and Erin. I am completely committed to conducting every aspect of my life and business with honesty and integrity. If you are seeking a real estate broker who is committed to serving your best interests, please don’t hesitate to call me. It’s my mission to provide exceptional service and establish long lasting relationships with all my clients. To send Jim a message, please use the contact form below.